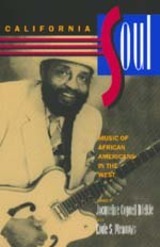 Focusing on blues, jazz, gospel, rhythm and blues, and soul music, California Soul is one of the first books to explore the rich musical heritage of African Americans in California. The contributors describe in detail the individual artists, locales, groups, musical styles, and regional qualities, and the result is an important book that lays the groundwork for a whole new field of study. 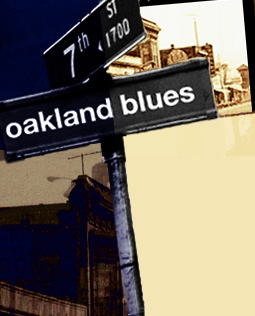 The essays draw from oral histories, music recordings, newspaper articles and advertisements, as well as population statistics to provide insightful discussions of topics like the California urban milieu’s influence on gospel music, the development of the West Coast blues style, and the significance of Los Angeles’s Central Avenue in the early days of jazz. Other essays offer perspectives on how individual musicians have been shaped by their African American heritage, and on the role of the record industry and radio in the making of music. In addition to the diverse range of essays, the book includes the most comprehensive bibliography now available on African American music and culture in California. This work takes the reader on a walk through the vibrant multicultural stew of Oakland, California. Oakland is often overshadowed by San Francisco, its neighbor across the Bay, but is itself an American wonder. The city is surrounded by and filled with physical beauty–hills, mountains, bays, and the ocean–as well as architecture that mirrors its history as a Spanish mission, Gold Rush outpost, and home of the West’s biggest robber barons in the early 20th century. Today, Oakland is perhaps most famous for its astonishingly diverse communities. In one district alone, more than 200 languages are spoken–more than on the entire continent of Europe. This is a city of refugees and immigrants, of political radicals, utopians, and apocalyptic of all stripes. 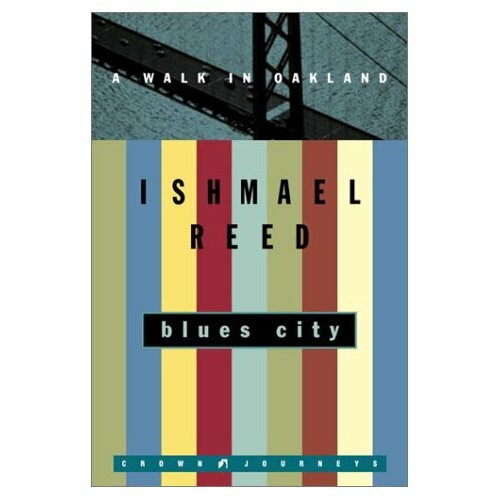 In Blues City, Ishmael Reed–a longtime Oakland resident himself–takes us on a tour of what he calls “planet city,” exploring its fascinating history, its beautiful hills and waterfronts, and its odd cultural juxtapositions such as Japanese jazz clubs and black cowboy parades, opening our eyes to not only a singular city, but to a newly emerging America. Oakland’s famous and vibrant arts heritage is known throughout the country, but many people are unaware of the extent of this city’s contribution to the national stage in terms of music, dance, visual arts, and literature. Black Artists in Oakland celebrates this amazing story over the past half century through vintage images, from the early days of Slim Jenkins’s nightclub to the changing styles of Esther’s Orbit Room and the Malonga Casquelourd Center for the Arts. More than 200 photographs lift the curtain on many inspiring artists—masters in their chosen aesthetic and neighbors to the community. Among the artists highlighted in these pages are Ruth Beckford, Raymond Saunders, Alice Walker, and E. W. Wainwright. American Babylon: Race and the Struggle for Postwar Oakland by Robert O. Self. As the birthplace of the Black Panthers and a nationwide tax revolt, California embodied a crucial motif of the postwar United States: the rise of suburbs and the decline of cities, a process in which black and white histories inextricably joined. American Babylon tells this story through Oakland and its nearby suburbs, tracing both the history of civil rights and Black power politics as well as the history of suburbanization and home-owner politics. Robert Self shows that racial inequities in both New Deal and Great Society liberalism precipitated local struggles over land, jobs, taxes, and race within postwar metropolitan development. Black power and the tax revolt evolved together, in tension. American Babylon demonstrates that the history of civil rights and black liberation politics in California did not follow a southern model, but represented a long-term struggle for economic rights that began during the World War II years and continued through the rise of the Black Panthers in the late 1960s. This struggle yielded a wide-ranging and profound critique of postwar metropolitan development and its foundation of class and racial segregation. Self traces the roots of the 1978 tax revolt to the 1940s, when home owners, real estate brokers, and the federal government used racial segregation and industrial property taxes to forge a middle-class lifestyle centered on property ownership.